So I have been MIA these last few weeks; apologies for this :) I have to blame it on the new house, I've been beavering away on it almost every day since we've had the keys. 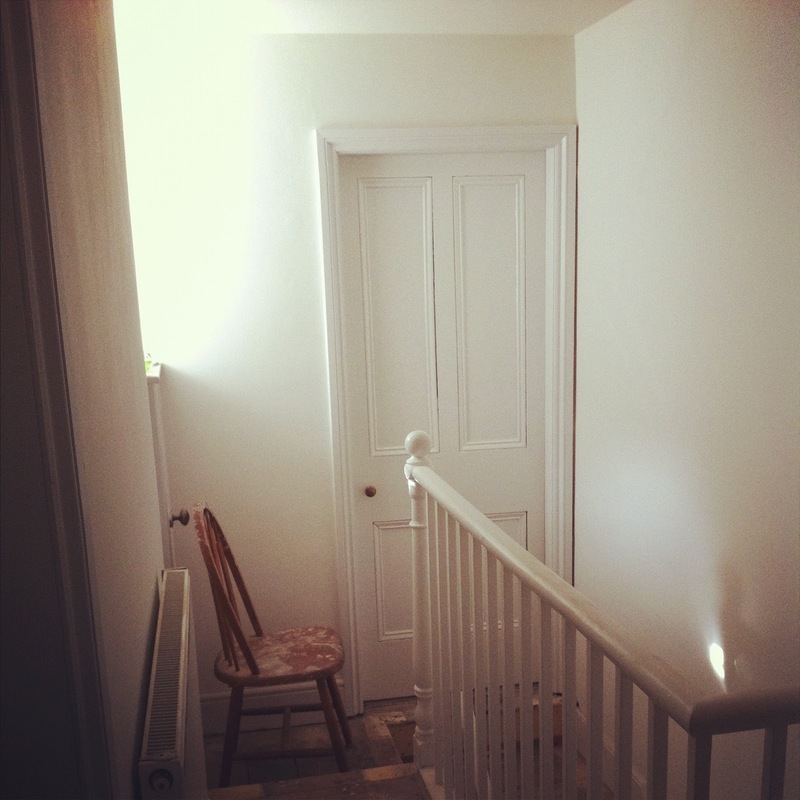 I'm pleased to say its almost all done upstairs, all the bedrooms and hallway have been given a new lease of life with a lick of paint. 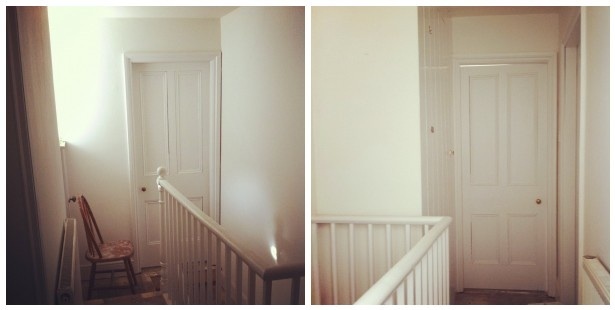 The carpets are fitted in the bedrooms, and soon the stairs and landing... 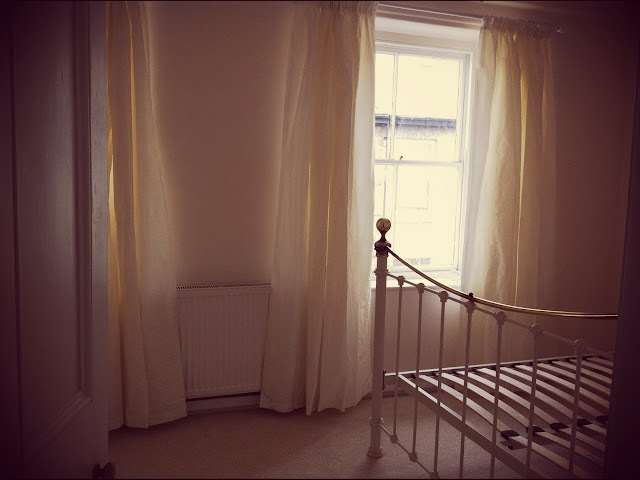 I also aquired some GOR-GEOUS silk curtains at an amazing sale price from Laura Ashley, I got them in a nice off-white shade so I can spruce things up with my floral bedlinen and vintage throws. I'll share some pics of the downstairs soon too - things are slowly coming together, the bathroom is almost done and we are going insane! patiently waiting for our IKEA worktops to be delivered so we can finish off our kitchen at long last. Have any of you had experience with IKEA kitchens? p.s. we've started moving in some of our stuff (well, my crafty things!) a whole TWELVE boxes!!! haha! it'll be squeezed in somewhere. I'll be back this week with more updates, speak soon. So exciting! I'm looking forward to seeing how it all comes together. beautiful light Jesse! I can't wait to see how you give it your special touch. I love creamy palette.